Download Mahjong Escape. Mahjong game. 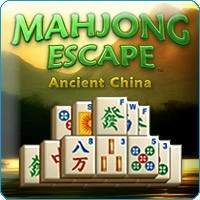 Mahjong Escape download. Your adventure begins over 4000 years ago in Ancient China Empire. Match the magic gold tiles and travel through 11 Dynasties, unlocking ancient wisdom on your way, to collect the lost treasures of the dynasty. Enjoy over 175 unique levels, 6 different tile sets and 15 backgrounds! There are also 5 special power-ups to help you on your adventure! Unwind with 5 relaxing soundtracks as you escape today!